Looking for a last-minute Christmas present for the hip-hop head in your life? We&apos;ve got a copy of the new book, Def Jam Recordings: The First 25 Years of the Last Great Record Label, and if you can answer the following questions, it could be yours to gift away or keep to yourself. Submit your answers on our Facebook wall and we&apos;ll pick the winner on Monday. 1. 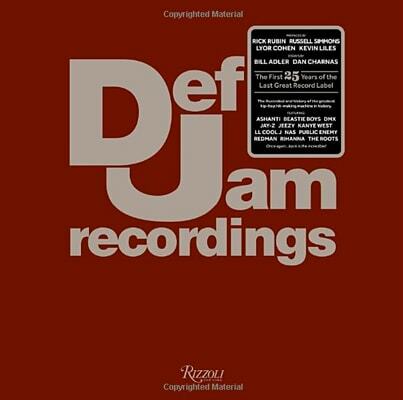 What was the name of the very first rap record released by Def Jam and who were the artists? 2. Lyor Cohen, who is now chairman and CEO of the Warner Music Group, got his first job in hip-hop working for Russell Simmons’s Rush Art Management. What was Lyor’s job? 3. LL Cool J’s song “Def Jam in the Motherland” was inspired by the rapper’s visit to which African country in 1988? 4. Brett Ratner, the director best known for the “Rush Hour” movies with Chris Tucker and Jackie Chan, got into the movie business by making a music video of which song by which Def Jam artists? 5. Def Jam South was founded by which former member of the Geto Boyz? Bonus question: So far, “Def Jam Recordings: the First 25 Years of the Last Great Record Label” has been translated and published in only one language besides English. Which language is it? Good luck! And if you don&apos;t win you can still buy a copy here.